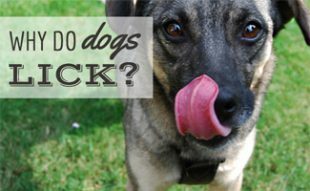 Home > Training > Behavior > Are Dogs’ Mouths Cleaner Than Humans? 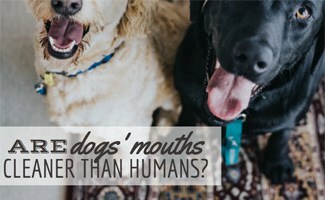 Are Dogs’ Mouths Cleaner Than Humans? When you get home, does your dog greet you with kisses and licks? You’re not alone. My dog loves jumping up and down and is determined to kiss my face. She can jump pretty high and is more successful at this than I’d like her to be. But I’m not a fan of puppy kisses on my face, it kind of grosses me out. Is this something I need to be concerned about or am I just overreacting? It’s time to settle the question, “Is dog saliva cleaner than humans?” Find the answer below! 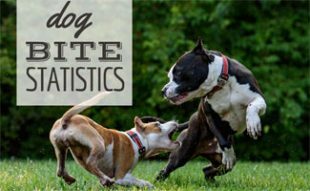 Below are some common questions and facts about dog licks. “Clean” isn’t an easy word to use for describing dog licks. Dog saliva has some characteristics that make humans think it’s clean, but we wouldn’t recommend using your dog’s saliva to clean your dishes. Dog saliva is antibacterial which is why they often lick their wounds. The saliva creates a film on the wound which numbs the area and reduces the pain. However, the bacteria in dog saliva can be harmful to humans which is why you should not let your dog lick any wounds you have because it could lead to infection. I can’t tell you how many times I’ve been told that a dog’s mouth is cleaner than a human’s. I don’t mind kisses from my dog, but I’m not crazy about her kissing my mouth, that’s where I draw the line. “A dog’s mouth is cleaner than a human’s” is a complete myth. Think about it, dogs (not all) sometimes lick their private region, eat out of the trash, bring dead animals to the doorstep and drink out of the toilet. Humans (not all) brush their teeth twice a day, floss once a day, use mouthwash daily and don’t do any of the things listed above that dogs do. It depends on the dental hygiene practices used by the pet parent. A dog who has its teeth brushed, eats dental chews and visits the vet regularly probably has a cleaner mouth than a stray dog. It also can depend on the dog. Some dogs are predisposed to periodontal disease and other dental issues. Is it Bad to Kiss Your Dog on the Mouth? Surprisingly, there are mixed opinions on this. I assumed that when I researched this question, I’d come up with, “Yeah, it’s fine to kiss your dog on the mouth, it’s just not the cleanest,” but I was wrong. In most instances, your dog licking your face is harmless. However, in some instances, the transmission of disease between pets and people can be very serious. If you have an open wound or sore and the bacteria from your dog’s saliva contacts comes in contact with it, you could obtain an infection that can progress quickly. However, many times the infection can be treated with antibiotics. This is why you shouldn’t let your dog lick your face, period. Is it Good for a Dog to Lick Your Wounds? NO! Do not let your dog lick your wounds. Dog saliva has bacteria that can be harmful to humans and can create an infection. What Happens if a Dog Licks Your Cut? If a dog licks your wound, there’s a chance that the wound may become infected, so it is best to keep your dog’s mouth away from the area. If you do get an accidental lick, be sure to clean your wound immediately with hydrogen peroxide and then cover it with a bandaid to avoid any further contamination. There’s no denying that puppy kisses are adorable. Our dogs kiss us to show affection, and this compilation of doggies giving babies kisses is absolutely precious. Unfortunately, it’s difficult to answer this question because animals have different types of oral bacteria, so it’s like comparing apples to oranges. Perhaps in the future, there will be a way to compare the different types of bacteria, but at this time, it’s impossible to say which animal has the cleanest mouth. Dog saliva does have some unique qualities compared to humans. For example, dog saliva is better at preventing cavities than human saliva. Their saliva is also used to help them swallow and get food down the esophagus, whereas for humans saliva helps with digestion. 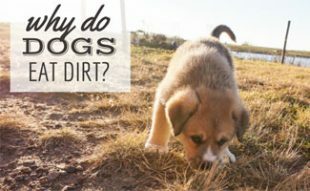 Possibly the most interesting thing I learned researching this article was that there are proteins in dog saliva which are responsible for allergies humans have. We often blame dog dander for our allergies, but in reality, it could be their saliva! 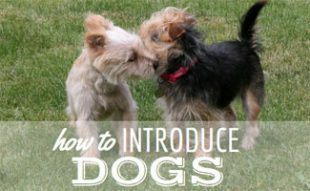 You can learn more interesting facts about dogs and why they lick in our article here. Do you let your dog give you kisses on the face? Great article Kimberly, really informative and well-written/researched. Thanks for solving this question I’ve had for years once and for all! No known cure for digging holes? Check out this article for how to stop your dog from digging.